What is it about big red boxes that they place on the streets? It seems that these things always become a hit. Remember those telephone boxes that they used to have as ubiquitous fixtures in the streets of the UK? They have become iconic structures today. Stateside, we have another kind of red box ““ the kind that spews out DVDs and video games for rent. Redbox ““ yep, they couldn’t think of any other name that is more creative, but hey it works, doesn’t it? ““ is a media rental company that is fast becoming the main source of entertainment for a lot of Americans. Initially, the company merely rented out movie DVDs but the news is that they are adding video games to their repertoire. Redbox is so convenient as their kiosks are placed in strategic places. 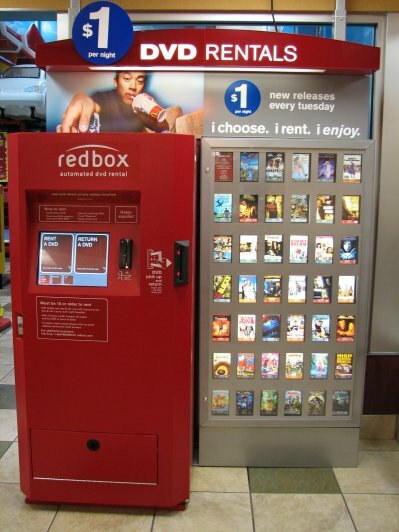 Outside supermarkets, movie theaters ““ the chances are that you will pass one of these kiosks on any given day. More than that, the rental fees are so low that you would not want to go to the movies again! How cheap is cheap? How about paying $1 for a movie rental and $2 (per day) for a video game rental? No wonder these things are becoming a hit! The downside is that they have a limited number of games available so far. And when I say limited, I mean LIMITED. They have a grand total of FIVE PS2, 14 PS3, 13 Wii and 13 XBOX 360 games. That is kinda lame, don’t you think? The potential is huge, though, and I wouldn’t mind renting games myself.